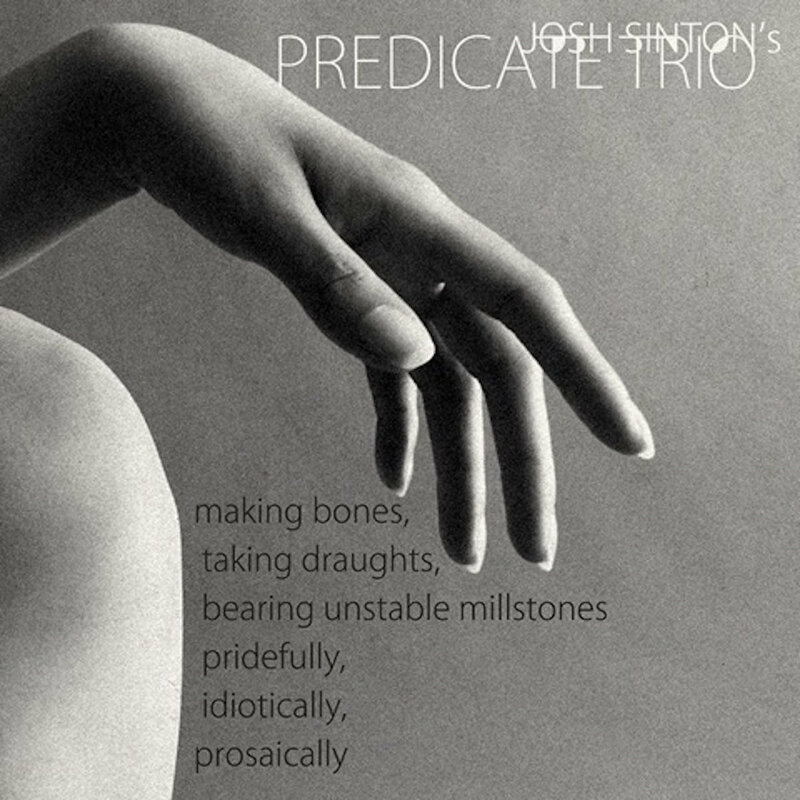 After a brief and curative hiatus from music making, Brooklyn-based baritone saxophonist, bass clarinetist and creative musician Josh Sinton makes a most welcome return with the debut album from his newly formed Predicate Trio, featuring acclaimed cellist Christopher Hoffman and the inimitable Tom Rainey on drums. The album – making bones, taking draughts, bearing unstable millstones pridefully, idiotically, prosaically – is perhaps Sinton’s most evocative album as a leader to date and confirms Sinton’s place as one of the most individualistic musicians in the world today. His truly unique sound is on full and glorious display here, reaching the farthest sonic capabilities imaginable on both bass clarinet and the physically demanding baritone saxophone. making bones is an expansive statement by a group of musicians who individually stand at the forefront of the creative music world. As a band, Predicate Trio converse as if telepathically, with a rhythmic fluidity and creative momentum translating Sinton’s vision into joyous musical reality. From the opening bass clarinet solo piece ‘mersible’ with its spellbinding multiphonics, to the suspended tension of ‘dance’ and the rumbuctuously hard hitting ‘blockblockblock’, Sinton’s broad and open-ended compositions are vigorously brought to life as the trio move in a seemingly perpetual motion of boundless creativity. All nine pieces on the album were recorded in single takes. Josh Sinton leads the innovative Steve Lacy-repertory band Ideal Bread (with Kirk Knuffke, Tomas Fujiwara and Adam Hopkins) and is a long-standing member of the Nate Wooley Quintet and Anthony Braxton’s Tri-Centric Orchestra. Christopher Hoffman is cellist, composer and film-maker. He has worked with Martin Scorsese, Henry Threadgill, Yoko Ono, Bleachers, Marianne Faithfull, Iron & Wine, Ryan Adams, Michael Pitt & many others. Tom Rainey is one of the most creative and versatile drummers in the world. In a career spanning over 40 years he has performed with everyone from John Abercrombie, Ray Anderson, Tim Berne, Jane Ira Bloom, Mark Helias, Fred Hersch, Joe Lovano, Carmen McRae, Ken Werner and Denny Zeitlin. He currently leads the quartet Obligato and his acclaimed trio with Mary Halvorson and Ingrid Laudbrock.